COLOUR SYSTEMS is a new colour theory intensive for Chromatophiles! This is a 6 week workshop focuses on the exploration of the ubiquity of colour theory. Ranging from its historical roots, to its psychological and physiological effects, to its practical application in the studio. 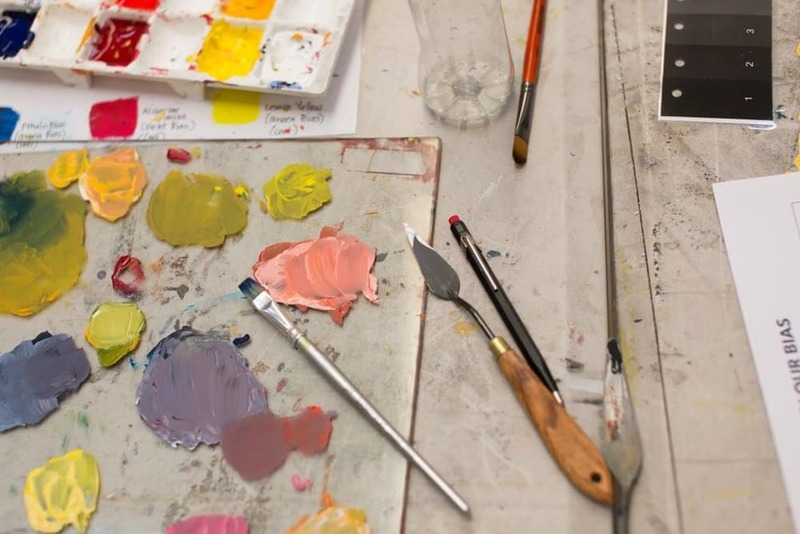 By the conclusion of the course you will have achieved a firm grasp of colour mixing and how to manipulate the elements of colour theory for more effective artistic communication. Artists wishing to learn colour theory, how to mix paints, and how to apply these skills to your practice. During her undergraduate studies at Washington University in St. Louis, Jennifer Whitten pursued extensive training in colour theory—including a year-long colour intensive course. These studies delved deep into the psychology, history and applications of colour, as well as into colour mixing and colour relationships. Jennifer has hand-picked the highlights of her education in colour—which she is excited to share with you now. By the end of this intensive, you can expect to have improved accuracy and understanding when mixing colour (no matter your medium), and how to use colour to tell your stories and better express your ideas. By understanding the ways in which colours behave and relate, you will know how to use them to bolster each other and how to create harmony and impact in your work.